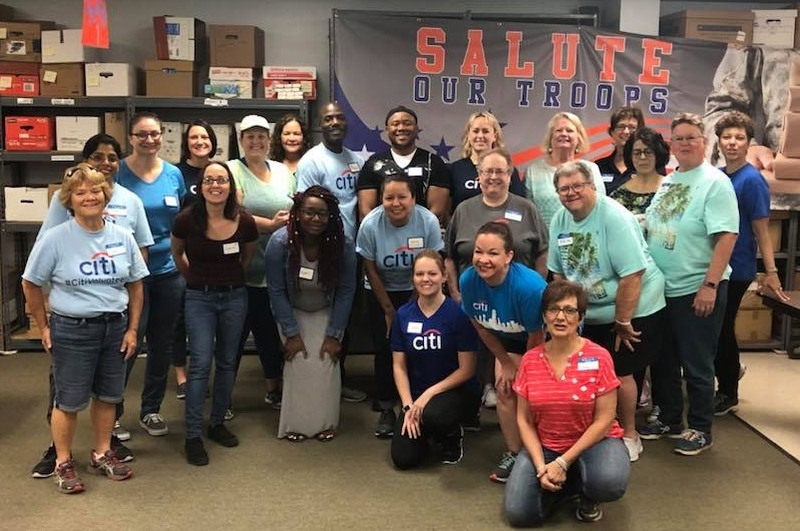 Care Packages for Soldiers: Citi Donates Items for Our Female Troops Serving Overseas. Citi Donates Items for Our Female Troops Serving Overseas. 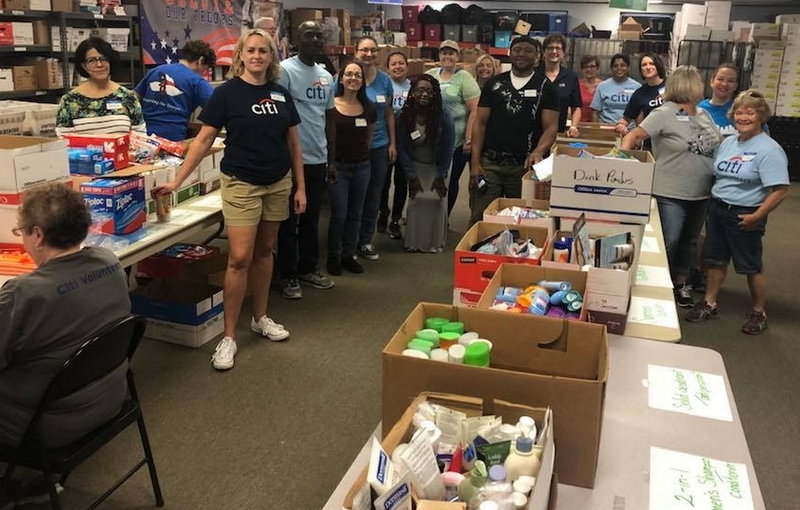 A big thank you to Cindy H, our of our angels, and the folks from Citi. 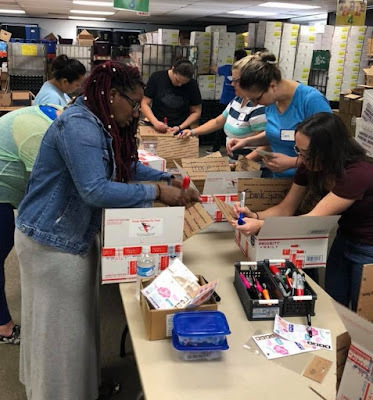 For the past month they have been collecting goods for our women serving overseas. 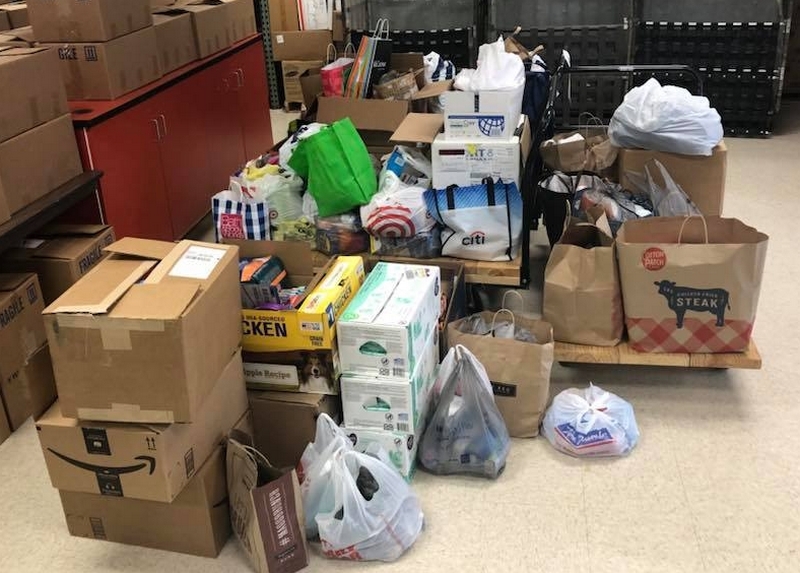 They held a collection last year but this year they tripled their donation! 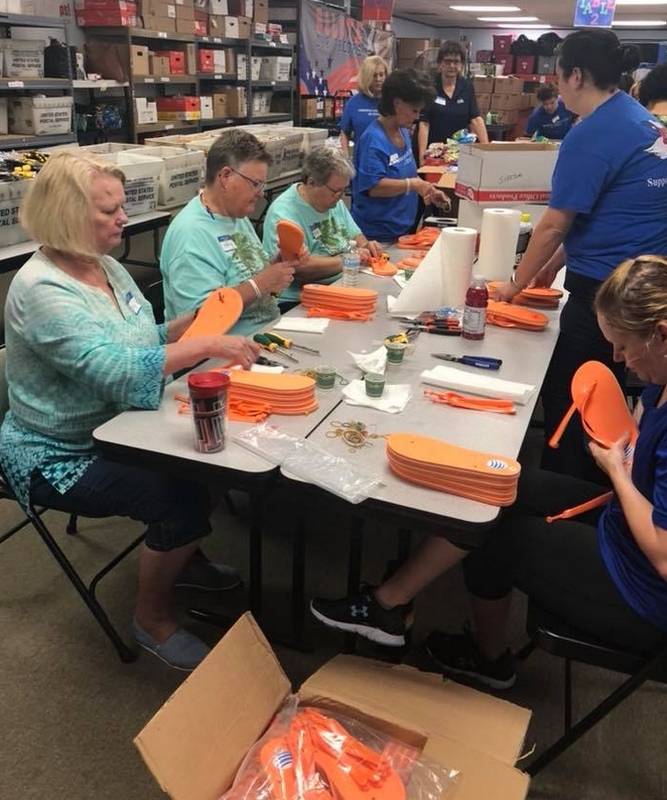 Beside collecting and donating the items, the Citi volunteers went to our warehouse to sort, tape, decorate boxes, write thank you notes and even assembled flip flops. 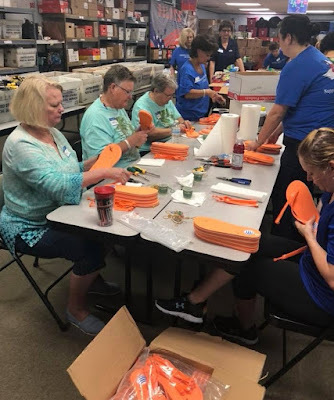 Assembling flip-flops - it's not as easy as it looks! Citi volunteers sorted the items they collected and donated. The Citi volunteers decorated the care package boxes with "love" notes. Many thanks to Citi for your continued support.